The Yakusa series about the life and crimes of Goro, who is set on the wrong course when as a child he loses his family due to others not caring. So as a teenager he becomes a hood that grew up with his best friend, then spends time in jail for small crimes and comes out to find his friend has joined the other side. Now he has to battle to stay in his mob and the opposing faction. He also has to take on his best friend. Blood will be spilled, old debts settled and new ones created. It spawned five sequels and all of these are here in this collection. The Japanese Yakusa films from the 60-70s are something that can be seen as highly charged, violent meditations on the society of the time. Yes they are cultural significant that need to be acknowledged but they are also special and should not be ignored. 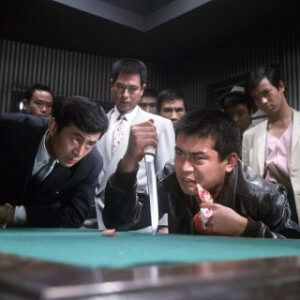 Arrow have unleashed some of the finer examples of the genre over the last few years and the OUTLAW VIP films are very much a celebration of all the conventions of the Yakusa genre but packaged in a well paced, highly energized series of blood soaked films. 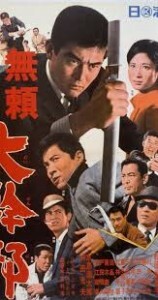 I prefered BATTLES WITHOUT HONOR series in truth, as that has greater depth and more complex plotting but this series has some great reasons to watch it. 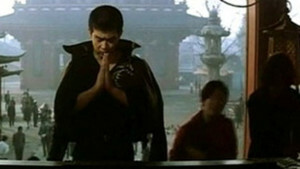 Great direction, editing, fight scenes and compositions are just a few. Ignore the paper thin scripts in the later films and instead just enjoy the great film visuals and even greater violence. All of the additional features are extremely good. The packaging is a joy and the transfers are superb. The Blu Ray sings when you play and even as only high def it is a delight. Jasper Sharp commentary is a highlight filled with intellegence and study.